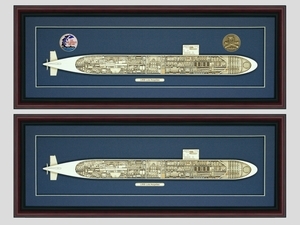 The USS Los Angeles (SSN-688) is our latest addition and the most detailed cutaway to date. This fine six layer cutaway accurately displays every compartment, even the back half of the boat, in amazing detail. Years of research have gone into the development and those who have seen the cutaway have praised its accuracy. Natural Basswood finish is mounted on a Baltic Blue matte with a cherry finish frame. 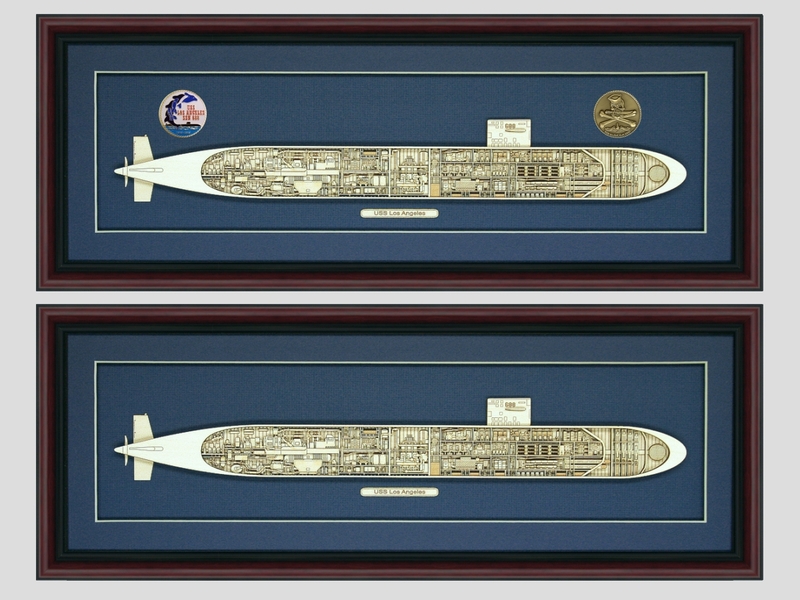 Brass and Silver finishes are on a black matte with a black frame.